It may sometimes seem the world is increasingly antagonistic toward Israel, but Cyprus President Nicos Anastasiades' visit to Jerusalem this week should remind Israelis that there are still allies to be found, even in the Middle East. One of them lies a mere 200 kilometers from the beaches of Haifa. For decades, Israel has neglected Cyprus, focusing its efforts on becoming more acceptable to its Arab neighbors, as well as to Turkey, Cyprus' archenemy. But these efforts have stalled in recent years. Relations with Turkey have soured, the peace with Jordan and Egypt is more or less frozen, and the peace process with the Palestinians is nonexistent. Among all of these, it is Cyprus, Israel's only non-majority-Muslim neighbor, that provides a glimmer of hope. With only 10 percent of Israel's population and 1 percent of Turkey's, the island may seem to be of little strategic importance, but recent geopolitical and economic developments have elevated its value for Israel and vice versa, creating the conditions for a renaissance in Israel-Cyprus relations. Cyprus is Israel's only non-majority-Muslim neighbor. 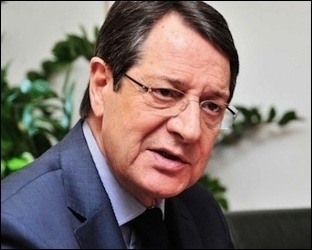 An important agenda item of Anastasiades' visit will be energy. Cyprus and Israel share significant natural gas reserves. The same companies that own Israel's Leviathan and Tamar gas fields – Noble Energy, Delek Drilling and Avner Oil & Gas Exploration – also own Aphrodite, a 4.5 trillion cubic feet field that lies off the coast of Cyprus. Cyprus has already signed a memorandum of understanding to supply gas to Egypt but, like Israel, it has yet to figure out how to turn its gas bonanza into cash. There is room to mesh both countries' efforts to develop their energy resources and collectively embark on a regional energy development plan. But the governments of Israel and Cyprus would be remiss if they focus the dialogue exclusively on gas, as there are other, no less important, strategic opportunities the two countries can advance. Cyprus is in a unique position to offer Israel a coveted prize: strategic depth. On July 22, 2014, during Operation Protective Edge in Gaza, a Hamas rocket landing near Ben-Gurion Airport led to a four-day shutdown of Israel's outlet to the world. This experience ensures that in the next round of fighting, Israel's airports will be at the top of Hamas' or Hezbollah's target list. Israel should seek an alternative airport – far from the missile range – to enable the flow of passengers and supplies into and out of the country in times of emergency. A mere 40-minute flight or four-hour boat ride away, Cyprus can provide Israel with landing rights on its runways and hence an exit to the world. Such relationships can also extend into agreements to requisition fuel and military equipment should Israeli air force bases be under fire, as well as airspace for training. Another opportunity has to do with China. The Cyprus-Israel axis can be an important element in China's Maritime Silk Road, an ambitious strategic initiative aimed to connect Asia and Europe via a network of maritime trade corridors, pipelines, sea and air ports and undersea fiber optics lines. Israel is a land bridge connecting the Red Sea and the Mediterranean, while Cyprus, an EU member, is a stepping stone to Europe. 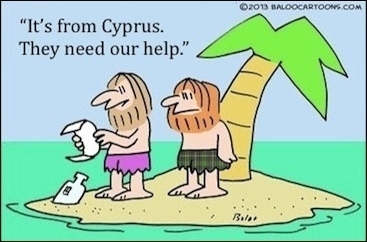 Cyprus, an EU member, is a stepping stone to Europe. With the help of China, the two countries can create a land and maritime passage from the Red Sea to the gates of Europe, one that also happens to traverse one of the largest discoveries of hydrocarbons in recent history. Such trade corridor – an alternative to the Suez Canal – would be an important piece of China's strategic design, which, if implemented, would be the biggest infrastructure development project in history. Tapping into China's Silk Road initiative would also make Israel and Cyprus eligible for project financing from the dedicated financial institutions the Chinese have established, like the Silk Road Fund and the Asian Infrastructure Investment Bank, of which Israel is a founding member. Cyprus needs Israel no less than Israel needs Cyprus. The island's economy is recovering from a financial meltdown, and its main trading partner, Greece, is financially ruined. To be eligible for the next package of international bailout, it is obligated to undergo painful reforms, including the privatization of several of its state-owned enterprises. This provides interesting opportunities for Israeli investors. Furthermore, with Turkey's defense budget almost the size of the entire Cypriot economy, the people of Cyprus are as anxious about potential Turkish aggression as Israelis are about potential Iranian aggression. Closer strategic relations with a prosperous and militarily powerful Israel will be a shot in the arm for Cyprus. None of this should be viewed as a ploy against Ankara. To the contrary, with the Erdogan regime weakened after this month's election, Israel should seek to improve its relations with Turkey while Cyprus should strive to continue reunification talks. Both countries should act in unison to include Turkey in their East Mediterranean energy development plan. Israel is often hailed as an island of tranquility amid the storm raging in the Middle East. There is another island just like this. It's time to explore it.